A revolution in the classroom is underway. Learning is becoming increasingly learner centred and differentiated. Like it or not, the old pedagogical model is being replaced by a blended approach which allows the pupil greater freedom in choosing what they want to learn and to do it at their own pace. The advent of mobile devices such as iPads and tablets has opened up exciting new possibilities for education. Many schools are reaping the benefits of these touchscreen devices. 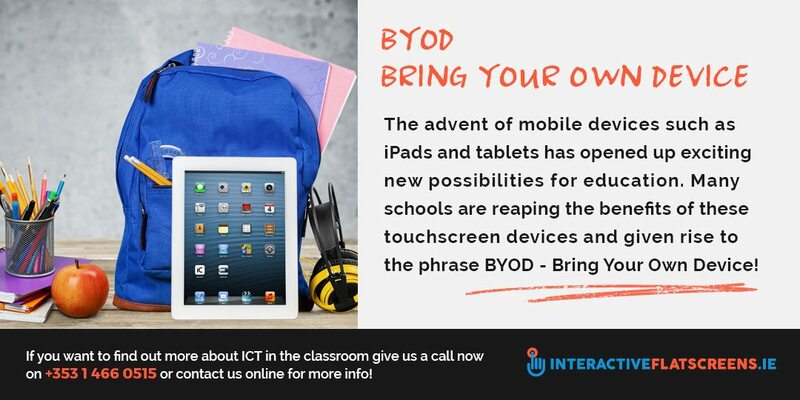 They can be either purchased by the school and distributed among the pupils for learning before being returned at the end of class or they can be brought into class by the learner – an approach known as BYOD or Bring Your Own Device. So, what are the benefits of using these devices in the classroom? Firstly, the vast majority of children will be familiar with them through personal use so they will learn fast and if there are any technical difficulties they will most likely know what to do. Secondly, they are so small and portable that they can be brought in and out of classrooms and the school with ease. Because they give instant access to so much information there is less books required which makes life easier for the learner. Also, not having to carry around a bulky laptop is a major plus. They can be turned on instantly, unlike the laptop or PC and the batteries for these mobile devices last longer. Because of this there is more time for learning and less worry about learning being hampered by a device running out of power, which often happens with laptops. iPads and tablets are also multi-functional which means they lend themselves to differentiated learning very well. A child can read and write on a tablet as well as take photos, make videos and listen to music. These features can be incorporated into learning in many ways, especially learning associated with play, which is an approach that is being increasingly adopted by primary schools. The high-quality resolution of such devices means they are ideal for learning which involves literacy and numeration. The touchscreen technology that these devices use is empowering for the learner. Having so much information and being able to manipulate it on screen with ease facilitates learning greatly, especially student centred and differentiated learning. This also contributes to the child’s self-esteem which should be a primary goal of education. Last but not least is the number of educational apps that are available to download onto iPads and tablets. These place learning in the pupil’s hands, literally. By increased engagement with a subject area the learner is stimulated and takes in more knowledge. 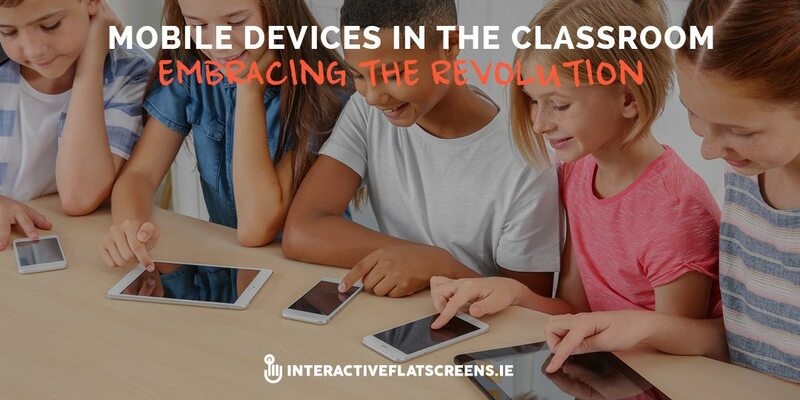 The revolution in the class room is well under way and these devices are at the core of it. Such fundamental change must be embraced by teachers and leaders. There is no stemming the tide. The only option is to make the best use of this ubiquitous technology, to make it serve the learning process. If you want to find out more about ICT in the classroom give us a call now on +353 1 466 0515 or contact us online for more info!